Yes boys and girls, Coldplay (specifically front man Chris Martin) have gone all Taylor Swift on our asses. It’s been over two and a half years since the nicest guys in rock strutted into stadiums with 2011’s shiny “Mylo Xyloto,” and there has been a big change in the camp of Coldplay (or, again, Chris Martin). In fact, the emotional state of Chris Martin may be the focal point of Coldplay’s latest record. The normally private Martin had apparently been going through marital troubles with his now ex-wife, actress Gwyneth Paltrow, during the recording process. It’s surprising that this is the first time Martin has allowed such a private matter into his very public career, since Coldplay is known for making their sonic ambition bigger than themselves. They’ve come a long way from being the university friends strumming guitars in pubs and have often let the imagery of their music overshadow lyrics. But album number 6 is the sound of someone taking a good long look in the mirror. “Ghost Stories” goes for a stripped down approach while still keeping with the electronic-based style that Coldplay dived into on “Mylo Xyloto.” Drum machines and an inorganic bass line steer 1st single “Magic,” while “Midnight” features Martin singing through a vocoder. “A Sky Full of Stars,” on the other hand, is a full-on EDM track produced by Avicii. It’s commendable for a band that was once panned for breaking out due to a “Wonderwall”–esque acoustic anthem (“Yellow”) to develop to the other side of the musical spectrum over time instead of just switching sounds out of a desperate genre change. But this also means the band has to really hold back, which is disappointing because in classics like “Speed of Sound,” and “Clocks,” the band builds to a great musical climax. Here, everything is subtle and sustained, from bassist Guy Berryman’s pseudo-Peter Hook riff in opener “Always In My Head,” to the quiet plucking and strums of guitarist Jonny Buckland. 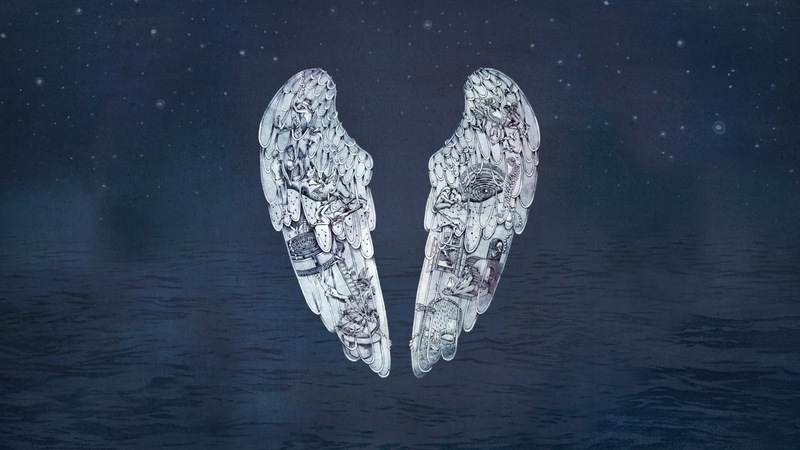 The atmosphere on “Ghost Stories” is more relaxed than anything Coldplay have done before, creating a solid soundtrack for an introspective night looking up at the stars. While this album has a romantic theme to it, it isn’t the Romeo and Juliet love story. There is more sorrow than bliss on “Ghost Stories,” where the man (presumably Martin) longs for the woman he loves after she’s left him. “Another’s Arms” is easy to picture with “late night watching TV/used to be you here beside me/ used to be your arms around me/ your body on my body.” “Oceans” involves Martin, now alone since that’s not been emphasized enough in the second half of the record, trying to find himself “alone in this world.” Right after that, the melancholy is thrown out the window for the upbeat dance number “A Sky Full of Stars,” where Martin says he wants to die in the woman’s arms. The lyrics can be on the level of Ms. Swift’s corniness in its sappy simplicity, almost like picturing Chris Martin alone in his house with nothing but a tub of ice cream and old wedding photos. Thankfully, the music keeps the album from too much “don’t know what you got ‘til it’s gone” territory. It’s refreshing to hear Coldplay take down the neon lights and fanfare for something so intimate. It actually makes one question how they’re going to apply this on their undoubted upcoming world tour because no matter how small they make their music, they’re still Coldplay. The lyrical content is somewhat of a letdown, not entirely, but the message of the album is clear by track 4 of 9. The atmosphere of “Ghost Stories” is mournful, reminiscent of Peter Gabriel or Bon Iver. Maybe if Mr. Martin had looked at his life beyond his “conscious uncoupling,” he could’ve let his listeners know the struggle behind being one of the biggest bands in the world. But “Ghost Stories” is two pieces of different things: one is the music of a band looking to take a brave step back in a world of loud thumps forward, while the other is a breakup journal. Some romantic listeners might find the new Coldplay a good remedy and the music is an interesting change of pace, it’s just now easier to notice the occasional corny lyric. There is no “bad” song on here, it just seems like a step down from the concepts of “Viva La Vida” and “Mylo Xyloto.” It’s tempting to blame Ms. Paltrow for throwing Chris Martin off, but that’d be too easy. This entry was posted in Uncategorized and tagged album review, Coldplay, Ghost Stories. Bookmark the permalink.